SuddenlyMusic Toolbar is a browser hijacker developed by Mindspark Inc. SuddenlyMusic is one of its many releases toolbars that though not a virus technically, it is somehow risky. SuddenlyMusic Toolbar is browser add-on that promised to enhance your browsing experience when you installed it onto your Internet Explorer, Mozilla Firefox, and Google Chrome browsers. Oftentimes, many computer users judge it as a computer virus though it is not. SuddenlyMusic Toolbar is an adware and is considered less dangerous that computer virus. People may acquire this unwanted program from downloading free software and shareware applications. Once SuddenlyMusic Toolbar is installed, it may change your home page and default search engine. You may notice in a short while, SuddenlyMusic Toolbar will be a part of your browser�s menu. People who wanted to generate online income keeps on utilizing SuddenlyMusic Toolbar on their advertising scheme. They do track on how you browse the net and keep the gathered data for reference. They do record all information that might be useful on their aim to promote ads in various models. Do not be surprised if you may notice the constant redirection on sites which results are manipulated by schemers. Once you have learned about such changes, do not let the risk settle on your computer. Remove SuddenlyMusic Toolbar right away. 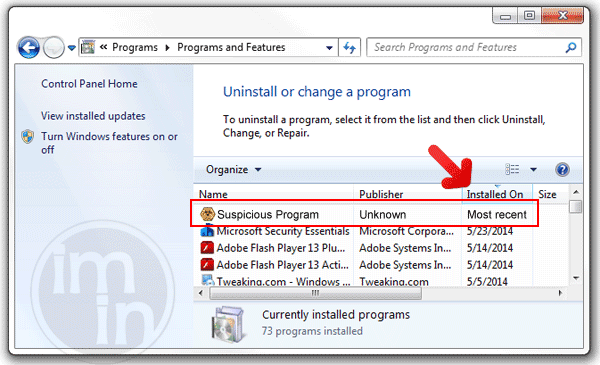 Initiating the changes on your home page and default search engine creates a strong belief in many PC users that SuddenlyMusic Toolbar is a malicious program. The sad truth is that, you have been careless upon installing freeware or shareware. Next time, bother to change the default settings during the installation process. You always have an option to exclude SuddenlyMusic Toolbar. To end up such unwanted changes on the computer as well as Internet browsers, we provided a complete procedure on how to delete SuddenlyMusic Toolbar add-on or extension. See full instructions below. To remove SuddenlyMusic, download MalwarFox Anti-Malware. This tool is effective in getting rid of Trojans, viruses and malware. 1. In troubleshooting a PC, one common step is to boot operating system into Safe Mode with Networking. The same approach will be used in the removal of SuddenlyMusic. Please execute instructions based on your Windows OS version. To make sure that no more malicious files linked to SuddenlyMusic are inside the computer, we must run another effective scanner. This time, use Junkware Removal Tool. No installation is necessary with this tool. 6. After scanning the computer, JRT will open a Notepad containing scan logs. It may have not find SuddenlyMusic relevant entities, but it will surely delete any malicious items not found in the previous scans. 4. At the bottom of the page, click on Reset settings to remove all changes made by SuddenlyMusic. 4. In order to reverse modifications caused by SuddenlyMusic, click on Reset button to bring back Internet Explorer's settings to their default condition. 3. Click on Refresh Firefox button to erase the effect of SuddenlyMusic. 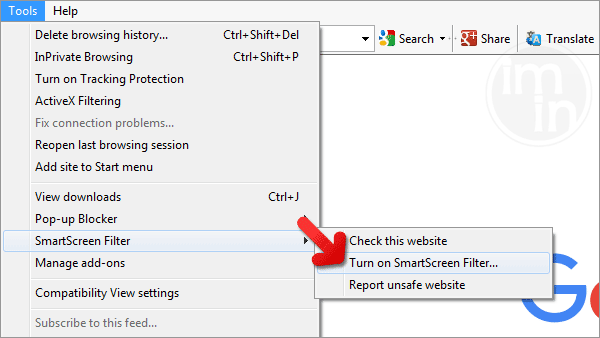 SmartScreen filter is a built-in feature in Microsoft Edge browser that can help you deter malicious programs such as SuddenlyMusic. It can block malicious web sites and downloads.